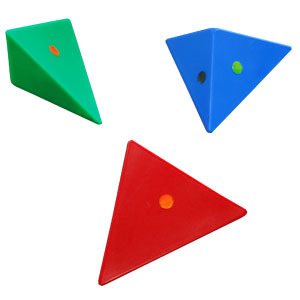 Each side of the magnetic blocks has a colored dot to help the person know which sides will be attracted by the magnets. The dots are also used as a guide when making the suggested shapes. 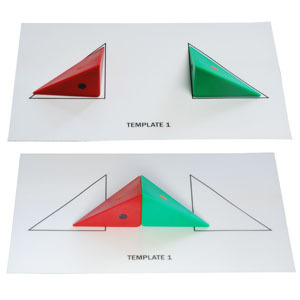 Follow the instructions and use the template to show the person how the pieces SNAP together when the magnets are aligned. 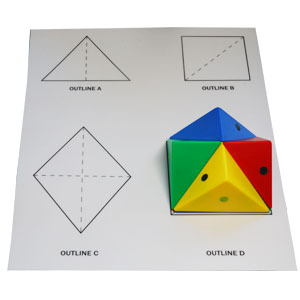 Use the included templates and guides to make the shapes suggested in the instructions. These shapes are designed to help the person discover fun relationships between the pieces. 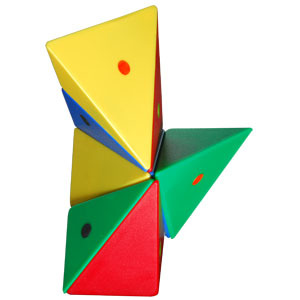 The person can get creative and use the blocks to make their own fun and colorful shapes!